He delivered him to four quaternions of soldiers to guard him (Acts 12:4). A “quaternion” was a squad composed of four soldiers, indicating that Peter was guarded by sixteen soldiers. 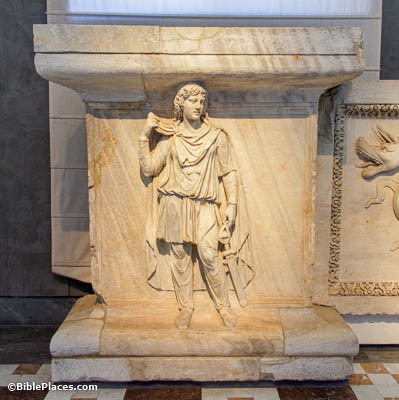 This relief of an armed soldier comes from the Hadrianeum, a temple in Rome dedicated in AD 145 to the emperor Hadrian. So Peter was kept in the prison (Acts 12:5). Luke does not name the prison where Peter was held, but the Antonia Fortress is a reasonable possibility. 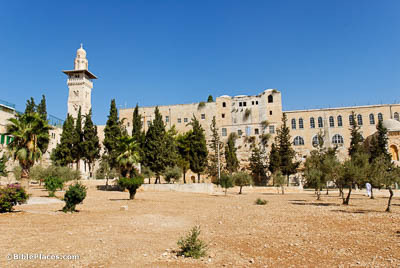 Built by King Herod and named after Mark Anthony, it sat at the northwestern corner of the Temple Mount. The building shown here sits on the bedrock where this fortress once stood. Herod . 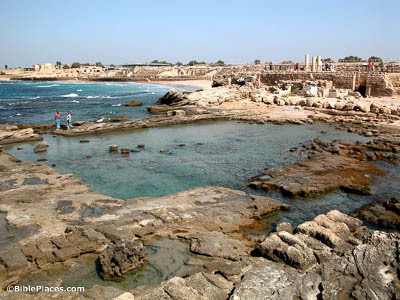 . . went down from Judea to Caesarea and was staying there (Acts 12:19). Herod Agrippa I was likely staying in the palace built by his grandfather Herod the Great. This palace, built on a promontory jutting out into the sea, was truly majestic; the focal point was a swimming pool, the remains of which are pictured here. The walls of the promontory palace were made of local sandstone, but they were plastered and painted to give the effect of finer stone like marble. Their country was supplied with food by the king’s country (Acts 12:20). 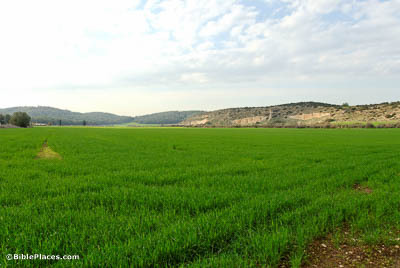 The land of Israel is well-suited for growing grain, and in the time of Ezekiel (circa 600 BC), Israel’s major export was grain (Ezek 27:17). It appears they were still exporting prolifically in Herod’s day. This photo shows a wheat field in early January as the crop is just beginning to grow. Herod . . . sat on a throne, and delivered an address to them (Acts 12:21). Scholars disagree about where this speech was delivered, with many favoring the city’s theater. 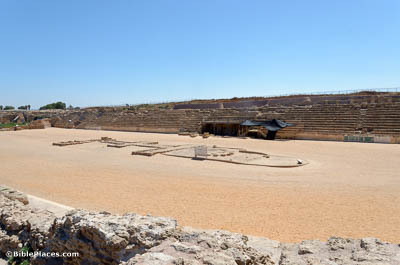 It seems more likely, however, that the scene occurred nearby in this hippodrome. If it did indeed happen here, the wooden structure on the far side of the track is probably the spot where Herod would have sat.